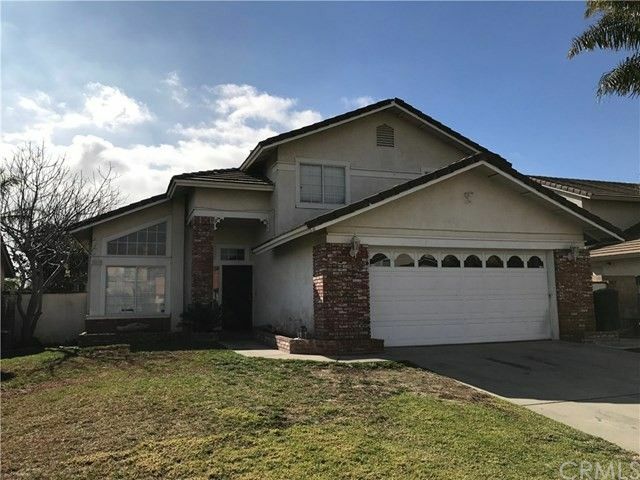 Located in the highly desired Las Colinas area of north Rialto this terrific home will be sure to impress. This 2 level residence offers cathedral and vaulted ceilings, an open floor plan and a large lot with a nice sized backyard. Inside this fantastic 4 bedroom home you will appreciate the master suite with walk in closet along with the entertainers kitchen with granite counter tops and upgraded cherry wood cabinetry not to mention the living room fireplace, tiled downstairs flooring and upstairs wood flooring and more! 2 car direct access garage and conveniently located for quick freeway access. This home will not last long so make your dream home a reality today!